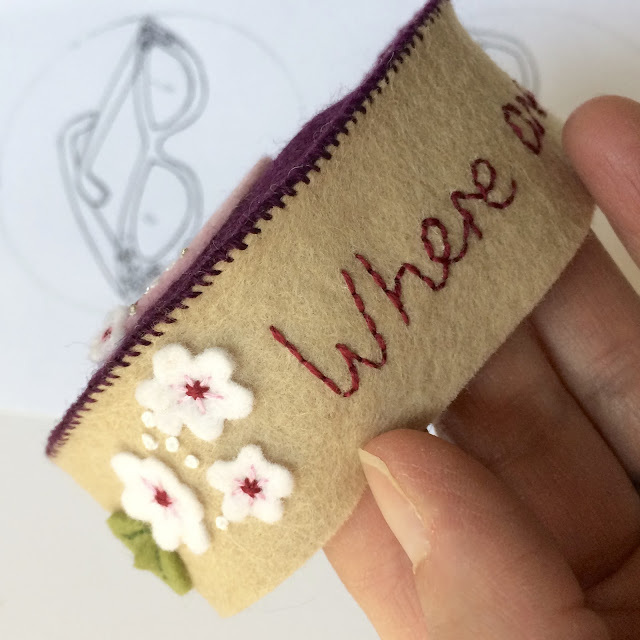 Fabric And Ink and Everyday Life: "Where Are My Glasses?" Usually when I ask if anyone has seen my reading glasses they are already on my head, in my hand or on a book in front of me! I was thinking about this the other day and about those really cute cat eye shaped glasses from the 50's and 60's. 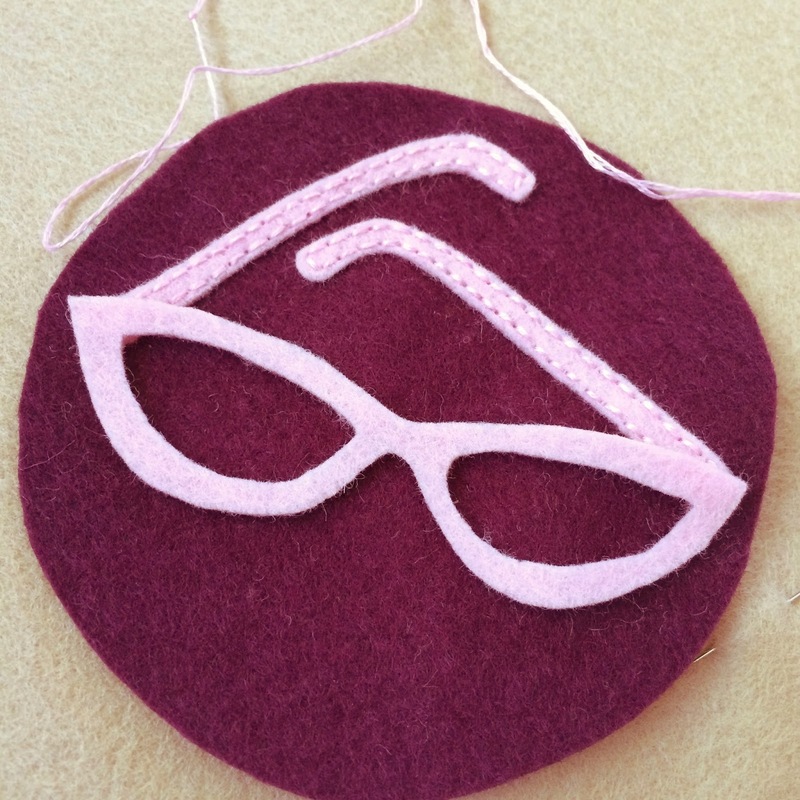 Like the ones worn by Sister Bernadette who left the convent to marry the doctor in the "BBC's Call The Midwife". 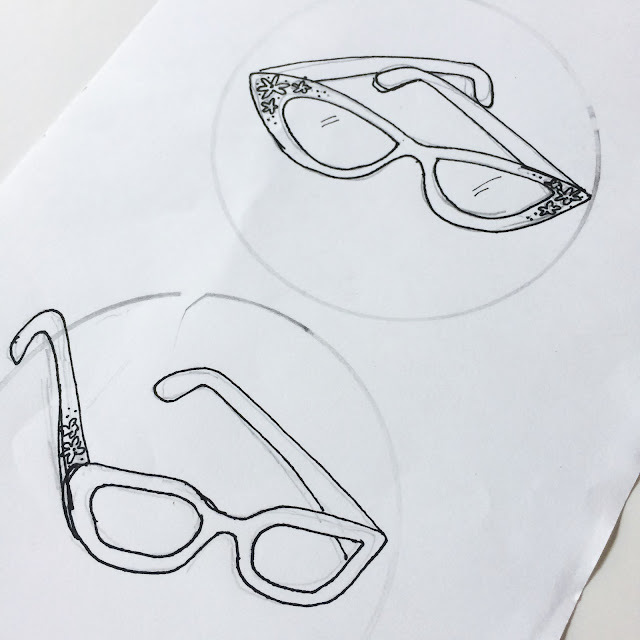 I love her glasses! You know the ones I mean, like this example from Etsy. 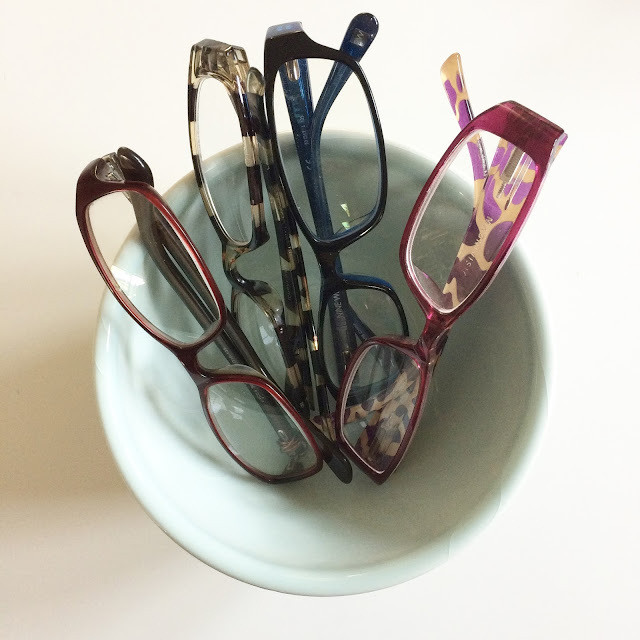 I have reading glasses all around the house, these are some of them. There are more in the drawer of my sewing machine table and in my handbag. I like wearing them. 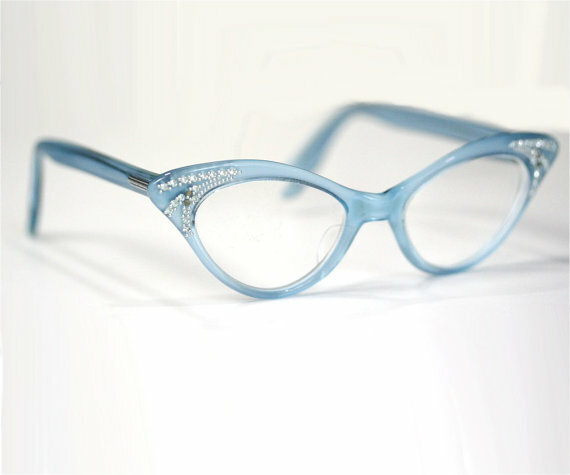 I used to have a gorgeous purple pair which did have that cat eye shape but sadly I wore them to death. 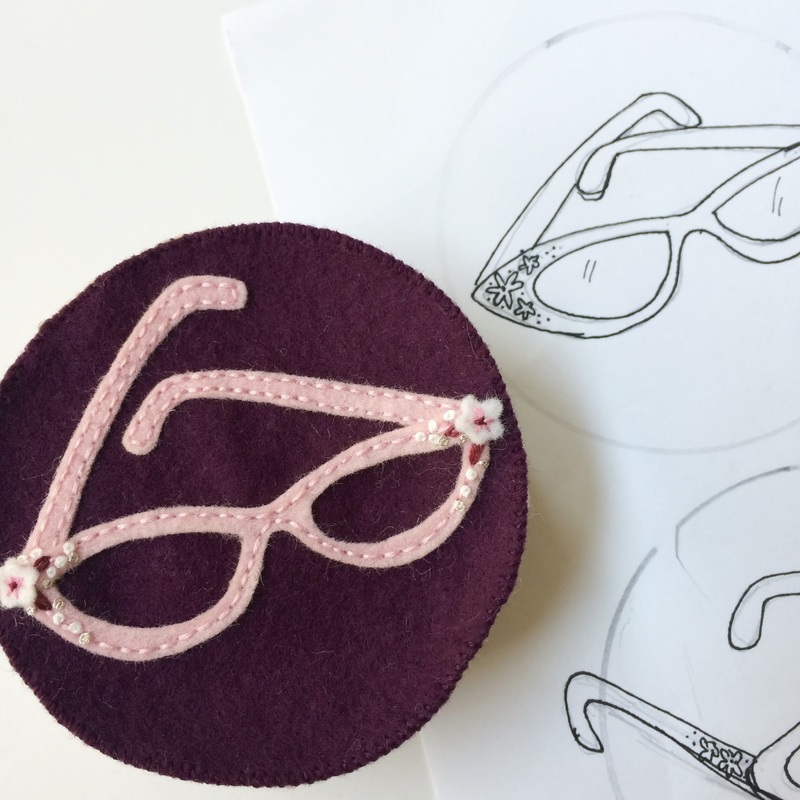 Then I got thinking that maybe they would make a fun pincushion so I sketched some glasses and thought about colors. I added flowers, embroidered leaves and some french knots to represent the rhinestones (I used some silver thread for pizzazz). 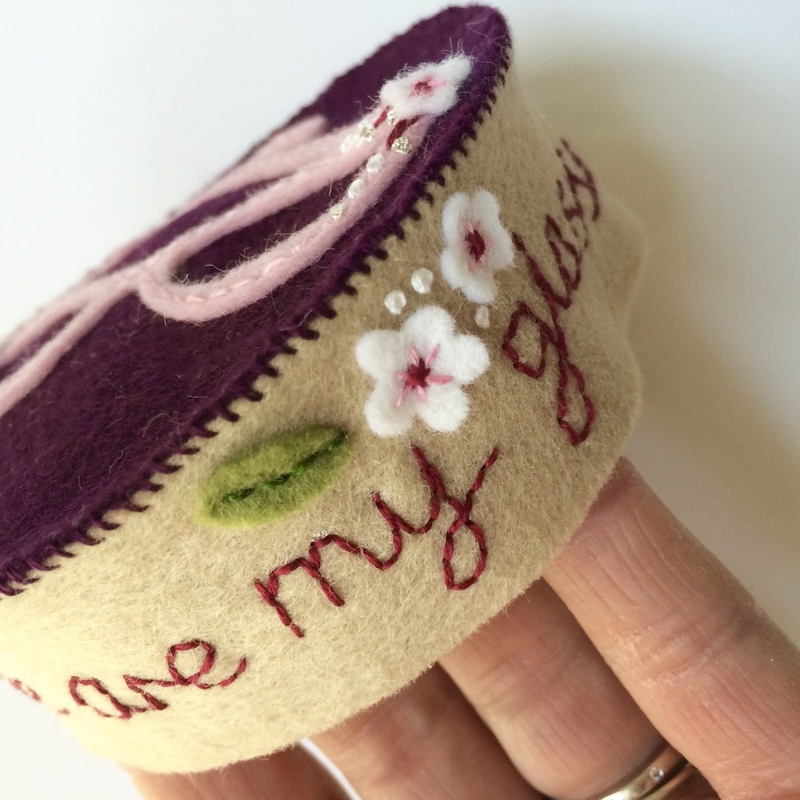 The side band is a really light brown and on it I've embroidered "Where are my glasses?" in a deep red that matches the top. 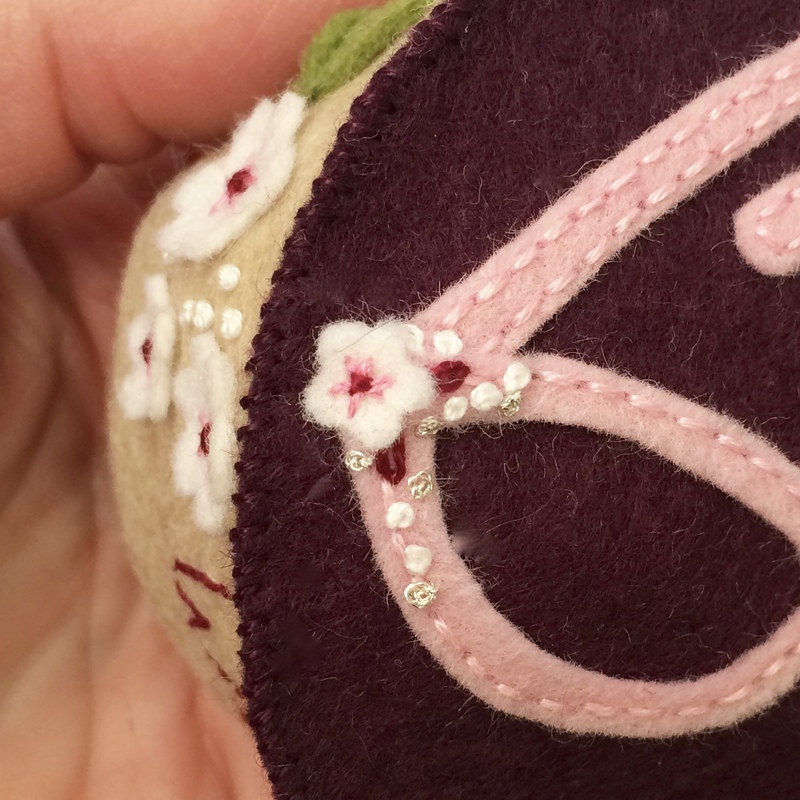 There are more flowers and french knots too. 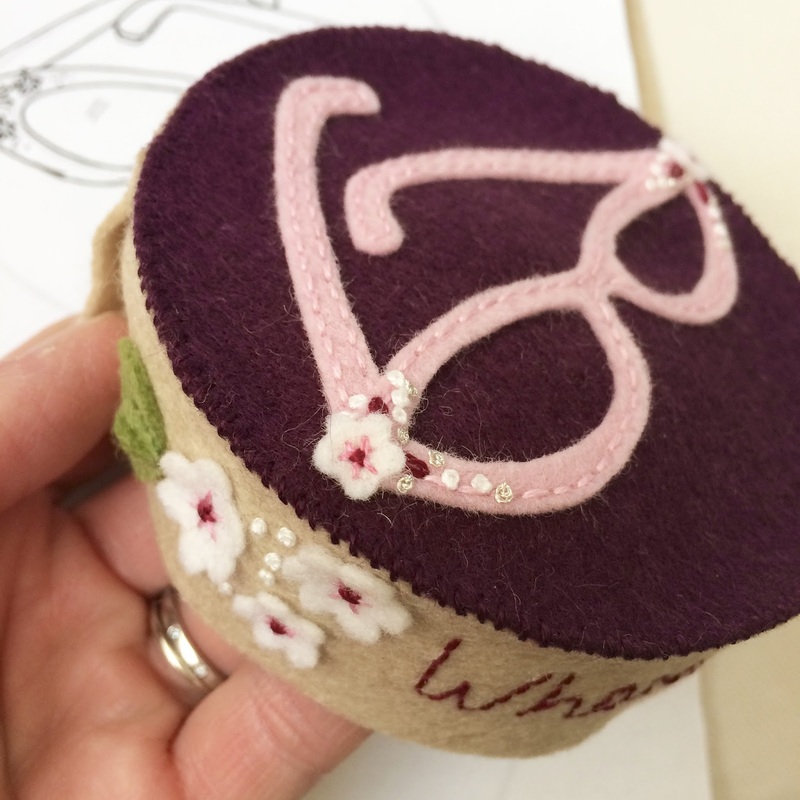 Today I added the bottoms to the pincushions (pink to match the glasses!) and they are ready to stuff.